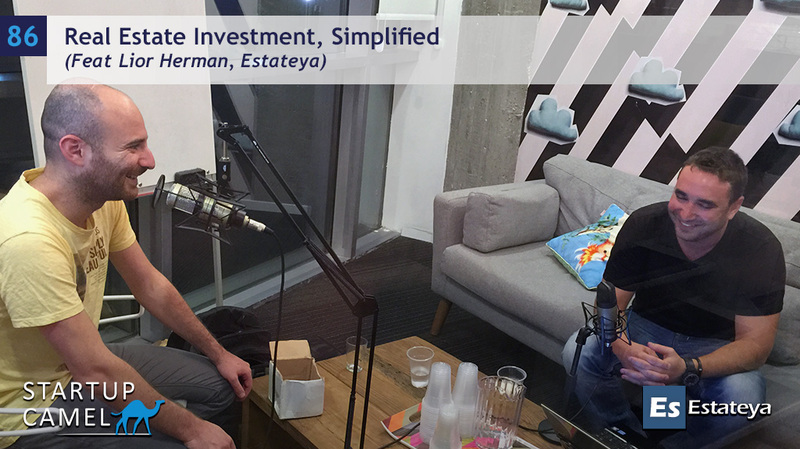 Lior Herman started Estateya after working in the American real estate market for several years. He realized that something was missing in the market – a tool which will allow unexperienced real estate investors make smart decisions about their investments. After meeting an old friend and discussing this idea, they decided to build that tool together. So far, this story reminded me many other stories about startups. But what I really liked about this story, was that after building the product for 6 months, Lior and his team decided to throw it all away build it again from scratch. He quoted Naftali Bennett, an Israeli politician in the present and a successful startup founder in the past, for saying the average startup company takes about 7 cycles of the product to reach success. So, since the founders of Estatya noticed that the product they were working on did not match their expectations, they decided to bin it, and build another one instead. This is a perfect example of what we heard so many times before from so many Israeli entrepreneurs: you should fall in love with the product, not the solution.